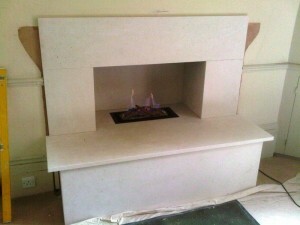 Contemporary Limestone Fireplace in SW18. 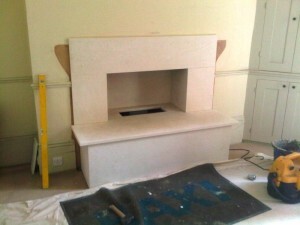 This installation of a contemporary limestone fireplace took place in a property in SW18, London. A wonderful client asked The Billington Partnership to design a contemporary fireplace for her new TV / snug room. 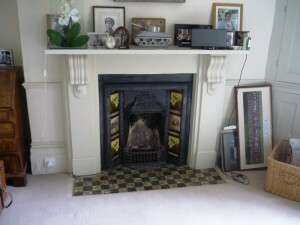 The images show the existing fireplace to be of a very traditional victorian design with cast iron tiled insert and a painted marble mantel. 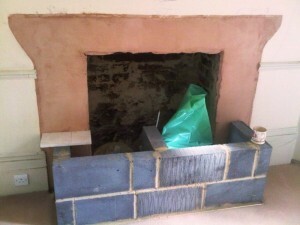 It was our task to remove the existing traditional fireplace and replace it with a more contemporary designed fireplace. 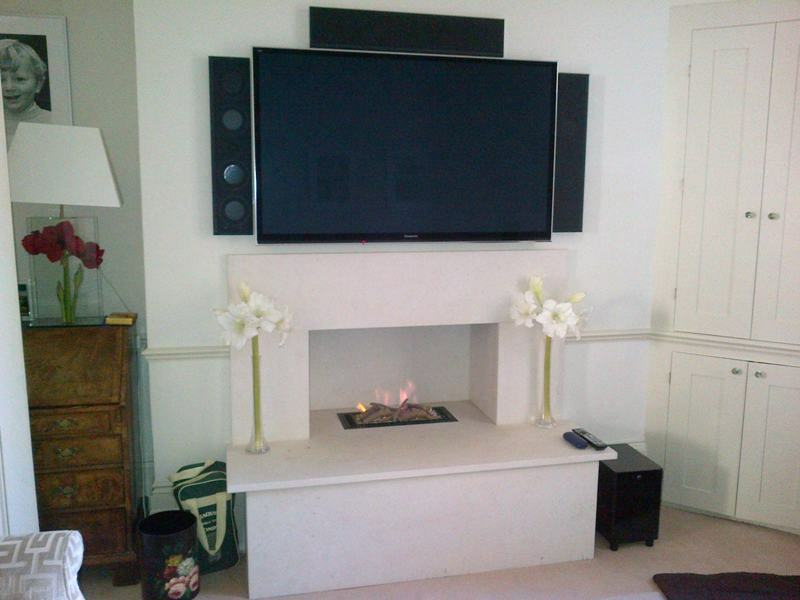 However, the client wanted to install a TV above the fireplace and because they had recently fitted a new carpet there would be a gap left by the removal of the old fireplace. Therefore we created a design which incorporated ‘seating’ that the client requested. The seating also hid the gap in the carpet left by the old fireplace. 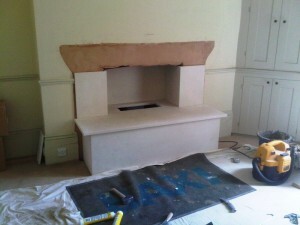 All the limestone pieces of the new fireplace fitted together perfectly and the end result looked fresh and modern.